January means fresh starts and resolutions whether it be personal or for the home. There’s something about a brand new year that gives us a little pep in our step or at least some extra rations of motivation. So run with that! Use these tips and tricks for redecorating to give you a jump-start. No need to redo the entire house, rather take some smaller steps to enliven and refresh the home. 1. Time to take down the holiday spirit. Some of us love the holidays and the trees and the pine (even when it starts falling and making a mess all over the floor). It can be difficult to part with that Christmas tree or the festive décor you painstakingly laid out all over the house. However, to be fair, not all your family or guests may feel so attached. It’s nearing the end of January and it’s time to move on. This shouldn’t take more than an afternoon and won’t cost you a thing. Organize as you go so broken ornaments don’t get put back in boxes and old wreaths or torn stockings can be thrown out. This is a huge step towards fresh décor for your home. As you put away the vibrant reds and greens from the holidays, think about wintery whites, beiges, taupes and greys for this time of year. Those colors are simple, clean, and will completely refresh the space. 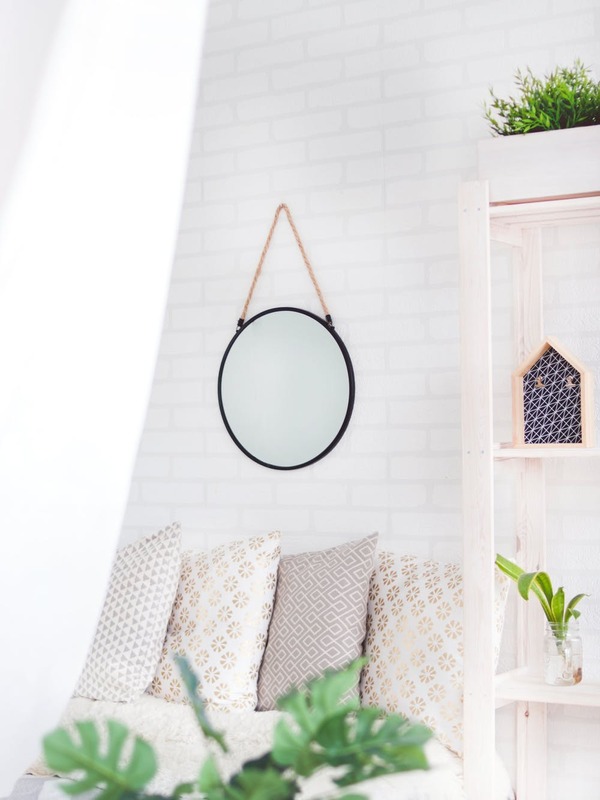 These clean lines will also inspire you for other projects such as changing up the art or wall décor to fit this new look or deep cleaning those couch cushions after all the company leaves. 3. Opt for fresh takes on greenery. Getting rid of all the pine and poinsettias doesn’t mean you have to go to bare and boring. Use the greenery from floral arrangements left over, and just leave that in vases. Or pull in white florals or branches for a continuation of that minimal, clean look while remaining wintery. 4. Plan out some of the larger projects. If you have spring dreams of renovating, changing the arrangement of the living room, or investing in new furniture, start making that plan now. Begin by budgeting what you have to work with and what you’ll need to save for the projects on your list. Start brainstorming and looking at colors you love, fabrics, layouts and anything else going into the project. 5. Change out all the bedding. Spend a little bit on new bedding and watch your whole bedroom transform and feel fresh, luxurious, and new. Stick with colors that are soothing to you to make your space feel like an oasis and retreat. Change up the living room by adding fresh throw pillows or blankets and a new area rug. Add in candles for new, exciting scents. Change out a lamp or two and see how the ambiance is affected. Play around with these aspects and subtle changes until the combination strikes the right chord for your home!